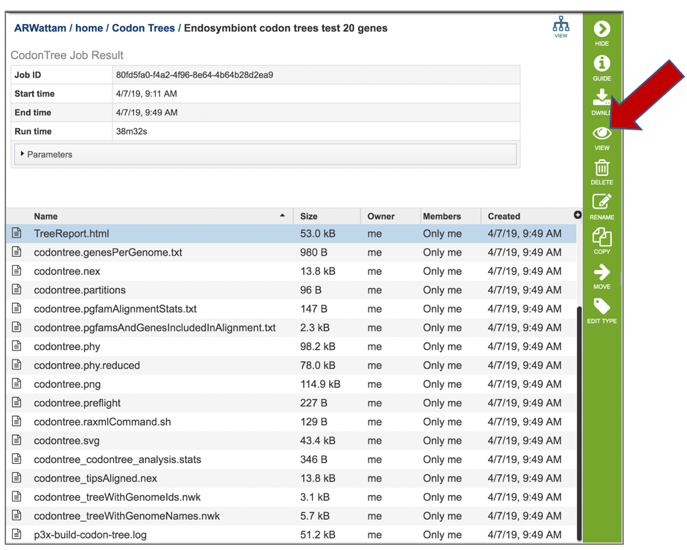 Click on Metagenomic Read Mapping. 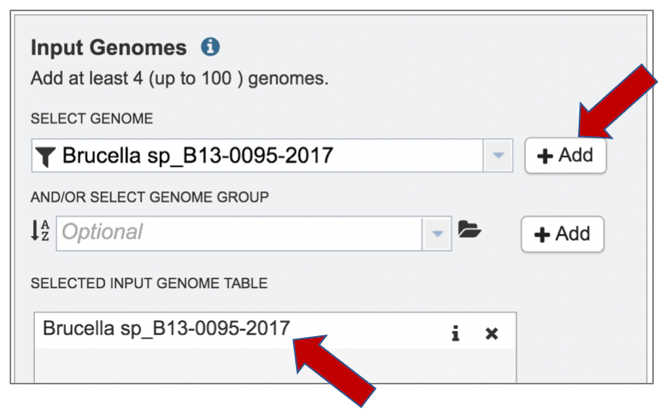 This will open up the Metagenomic Read Mapping landing page where researchers can submit long reads, single or paired read files, an SRA run accession number, or assembled contigs to the service. This will open a window that allows you to choose files that are stored on your computer. 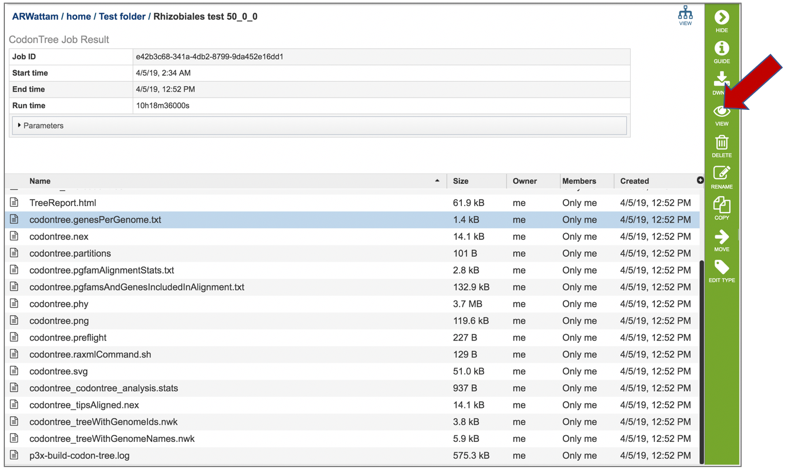 Select the file where you stored the fastq file on your computer and click “Open” . To finish the upload, click on the icon of an arrow within a circle. 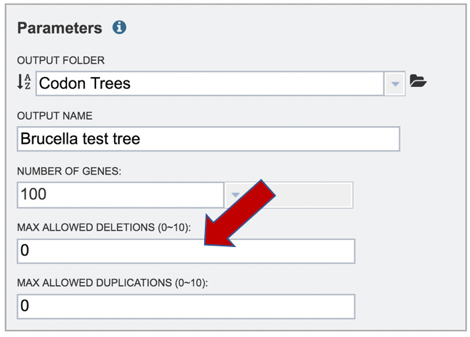 This will move your file into the Selected libraries box. To finish the upload, click on the icon of an arrow within a circle. This will move your file into the Selected libraries box where it is ready to be assembled. 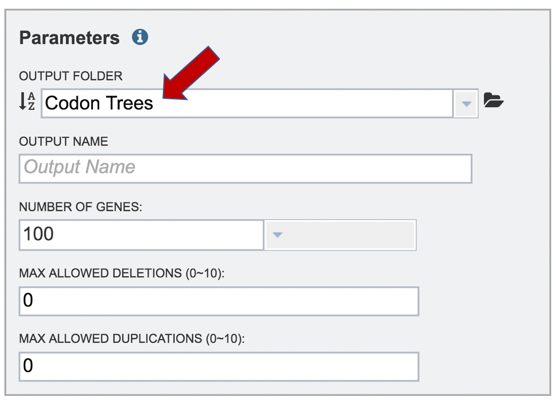 Parameters must be selected prior to job submission. 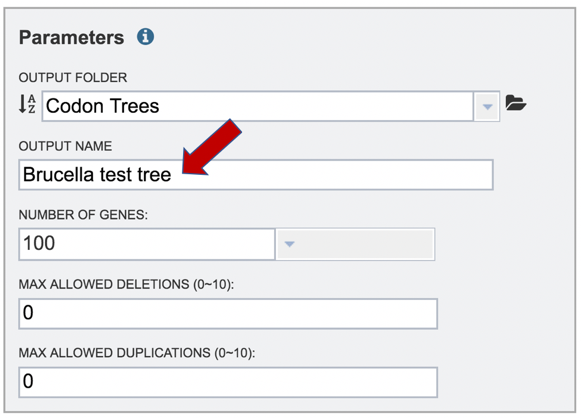 Click on the down arrow at the end of the text box under Predefined Gene Set Name to see the possible selections. 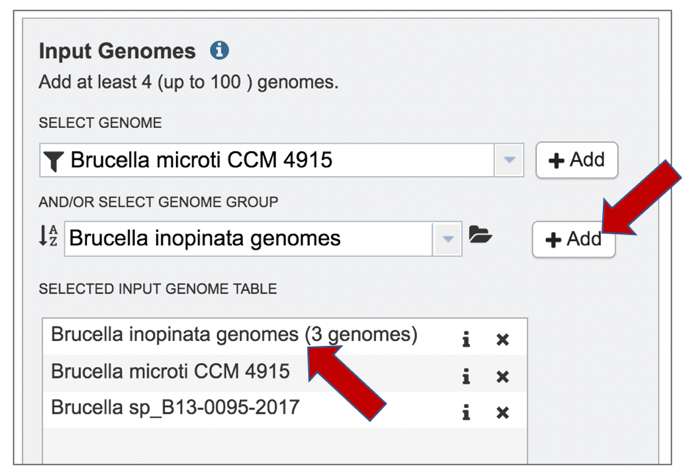 The Metagenomic Mapping Read service has two gene sets to choose from. 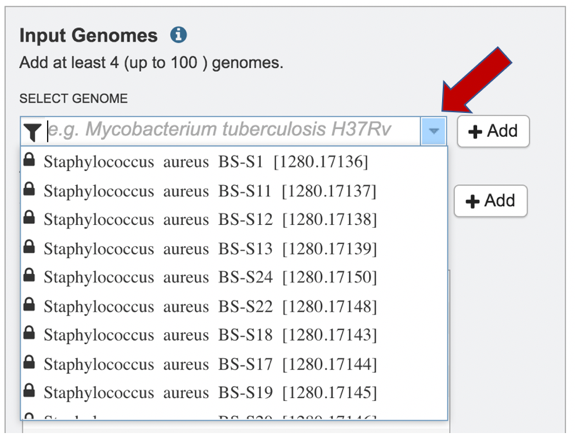 The Comprehensive Antibiotic Resistance Database (CARD) is the current gold standard for antimicrobial resistance genes. 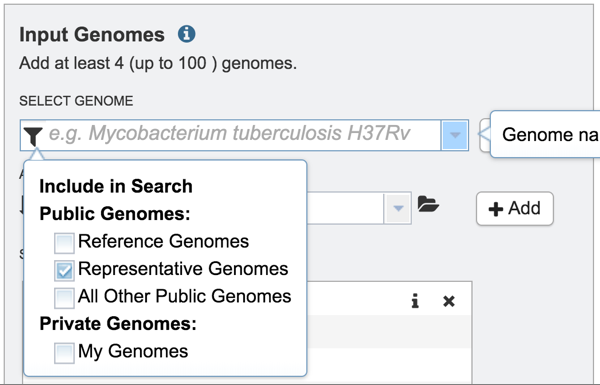 It is a manually curated resource containing high quality reference data on the molecular basis of antimicrobial resistance (AMR) that emphasizes genes, proteins and mutations that are involved in AMR. 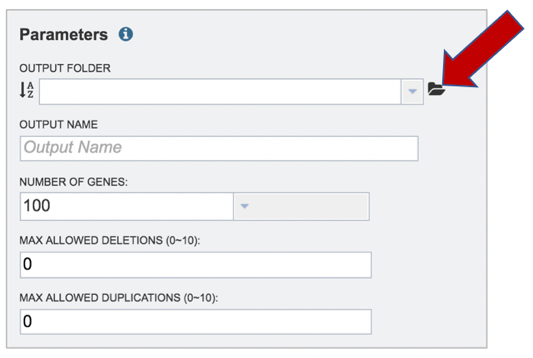 The Virulence Factor Database (VFDB) is the current gold standard reference source for virulence factors (VFs), providing up-to-date knowledge of VFs from various bacterial pathogens. 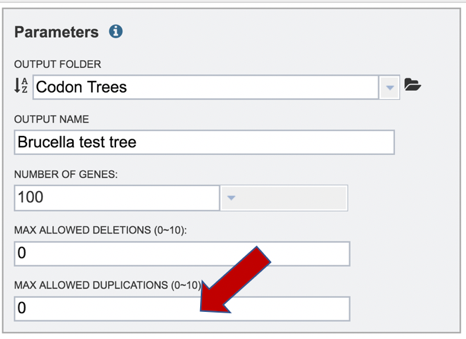 Select either CARD or VFDB as the gene set. 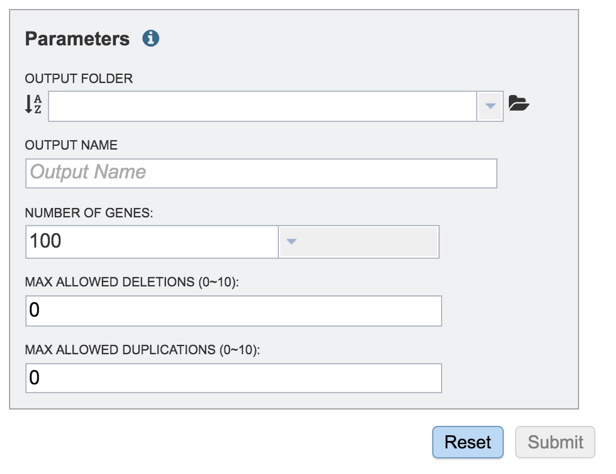 A folder must be selected for the Metagenomic Read Mapping job. Clicking on the down arrow at the end of the text box underneath Output Folder will show recent folders that have been used. Clicking on the folder icon at the end of the text box will open a pop-up window where all folders can be viewed, or new folders created. 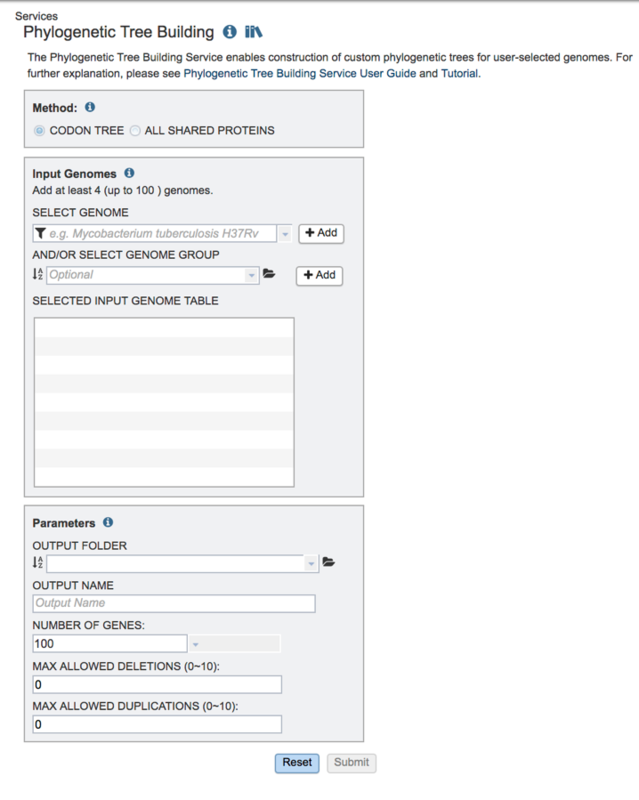 Click on the MetagenomicReadMapping.html. This will populate the vertical green bar with a number of icons. 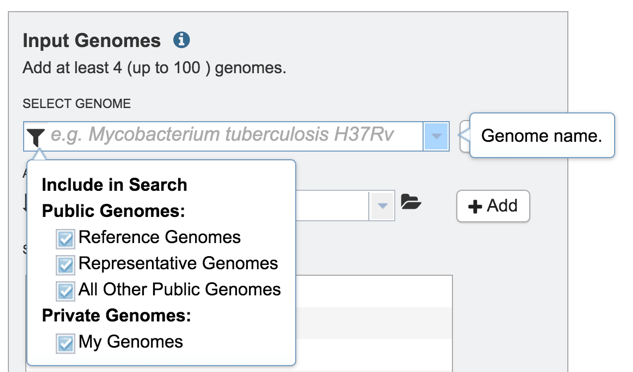 Clicking the information icon (i) will open a new tab that has the Metagenomic Read Mapping tutorial. There are icons for downloading the data, viewing it, deleting the file, renaming the file, copying or sharing with another PATRIC user, moving it to a different director, or changing the type tagged to the file. To examine the MetagenomicReadMappingReport.html, click on the View icon. 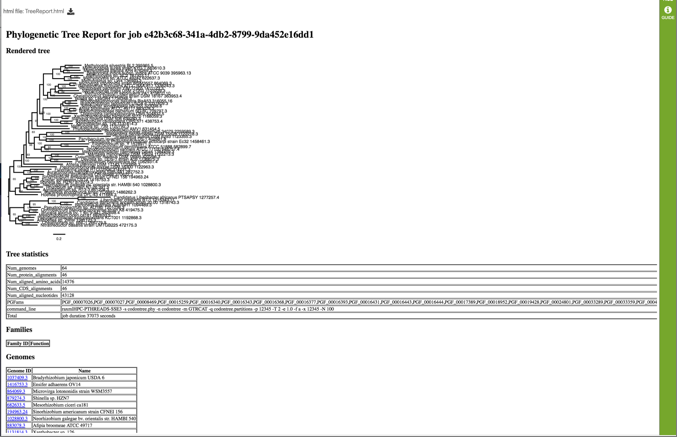 Depth: Number of times the template has been covered by the query. q_value: Quantile from McNemars test, to test whether the current template is a significant hit. 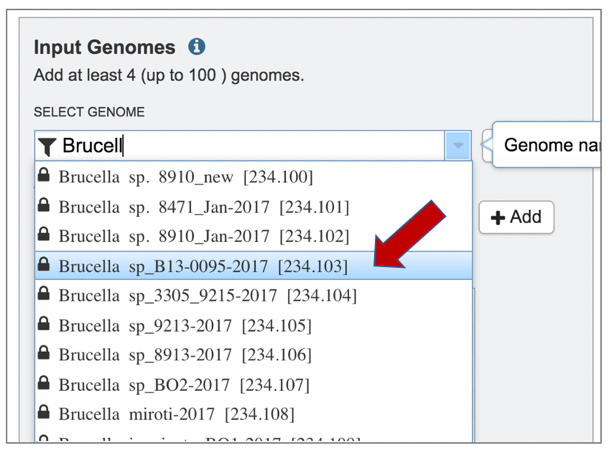 Clicking on any of the template identifiers in the first column will open a Specialty Gene List View that shows all the genes in PATRIC that have BLAT hits to the same template gene. 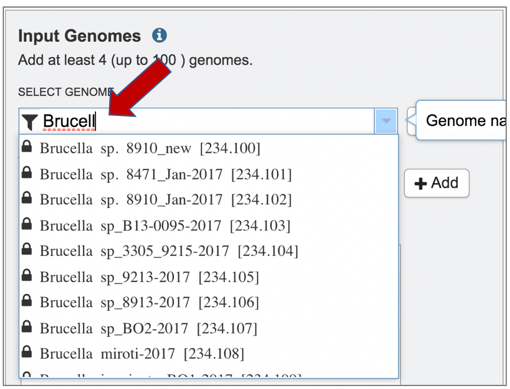 Clicking on the name in the Genome column will open a new tab that shows the Genome List view, which shows all the genomes in PATRIC that fall under the same taxonomy of the selected name. To see an alignment details, click on the kma.aln and then on the View icon. 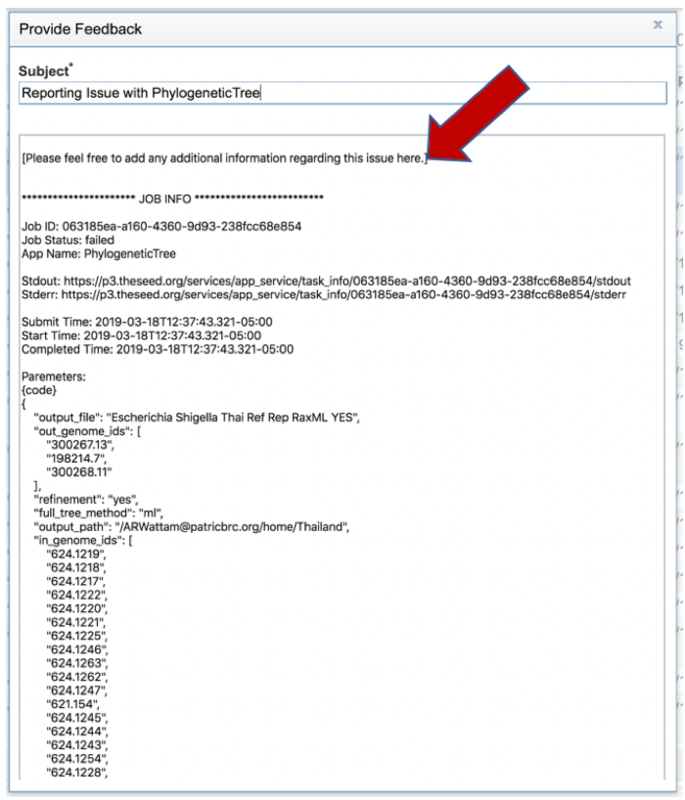 This will open a text file that shows the alignment between the template and the submitted query sequence. The kma.frag.gz file should be downloaded. 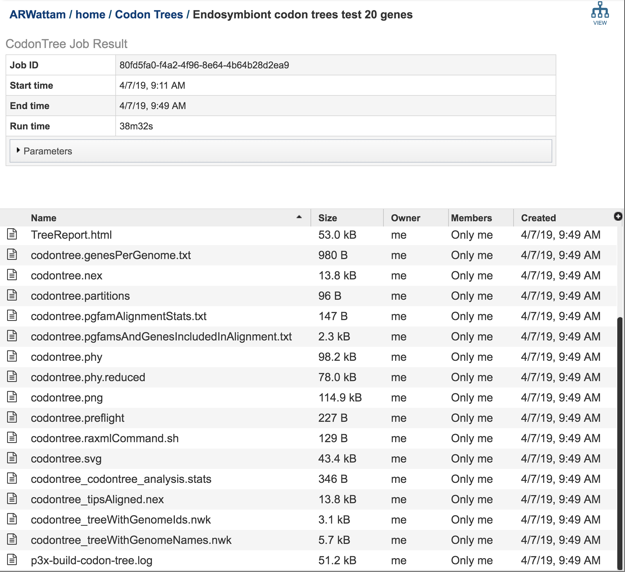 It has mapping information on each mapped read, and the columns found in the download are as follows: read, number of equally well mapping templates, mapping score, start position, end position (w.r.t. template), the chosen template. The kma.fsa can be viewed in the workspace. 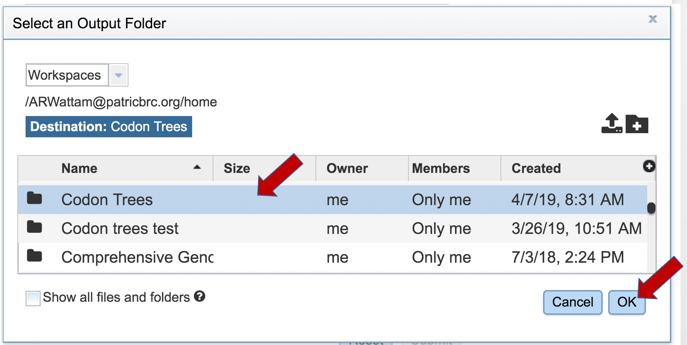 Select the row and click on the View icon. The kma.fsa file shows the consensus sequence drawn from the alignment. The kma.res file can be downloaded, or viewed in the workspace. Click on the row and click on the View icon. Clausen, P.T., F.M. Aarestrup, and O. Lund, Rapid and precise alignment of raw reads against redundant databases with KMA. 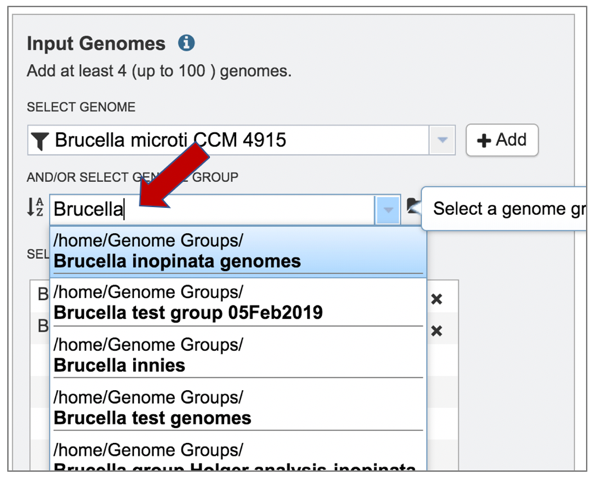 BMC bioinformatics, 2018. 19(1): p. 307. Jia, B., et al., CARD 2017: expansion and model-centric curation of the comprehensive antibiotic resistance database. Nucleic acids research, 2016: p. gkw1004. Chen, L., et al., VFDB 2016: hierarchical and refined dataset for big data analysis—10 years on. Nucleic acids research, 2015. 44(D1): p. D694-D697. Kent, W.J., BLAT—the BLAST-like alignment tool. 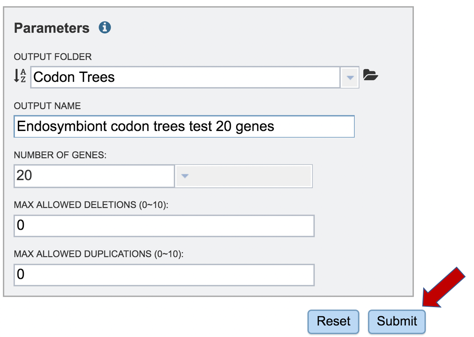 Genome research, 2002. 12(4): p. 656-664.